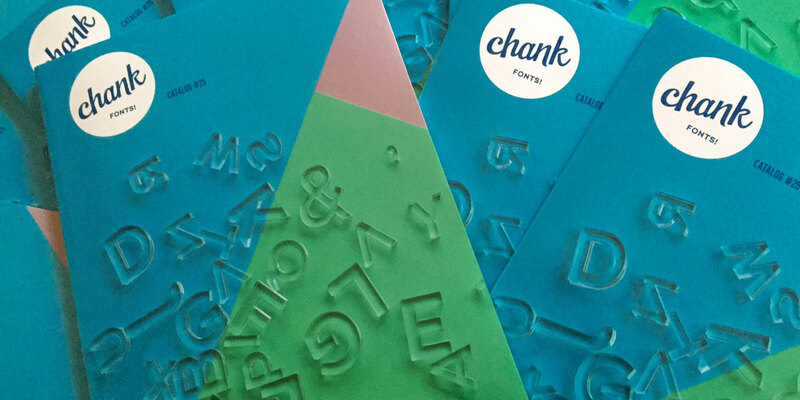 Get the new Chank Fonts catalog! The new Chank Fonts Catalog #25 displays over 350 fonts in one handy document. All the fonts are available from Chank Co, and here’s a document that lets you look at all those fonts quickly and easily. If you’d like the downloadable PDF version click here. Or, if you’d like to see it on paper with a fancy, shiny cover you can hold in your hands, the catalog is available in printed real paper format on this page here. Give it a look and let me know what your favorite Chank Font is. Enjoy looking at all these fun & distinctive typefaces!